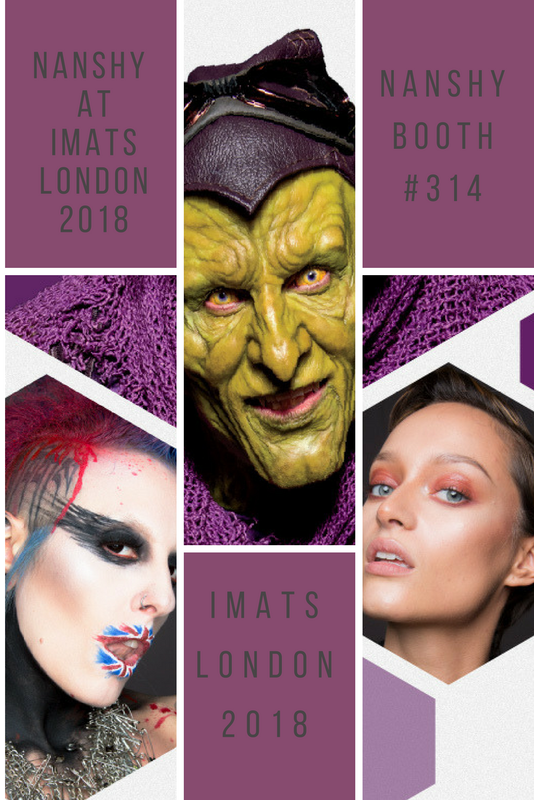 IMATS London 2018, the annual International Make‐Up Artists Trade Show, is almost upon us and this year’s event is to be the biggest and best yet. IMATS has been held in London since 2002 and has grown into the make-up industry’s premier trade show, with six events staged around the world every year in London, New York, Los Angeles, Toronto, Atlanta, and Vancouver. First established in 1997 by the Emmy Award-winning make-up artist and publisher of Make-Up Artist magazine Michael Key, IMATS provides the opportunity for make-up artists, exhibitors, and enthusiasts to learn and connect. 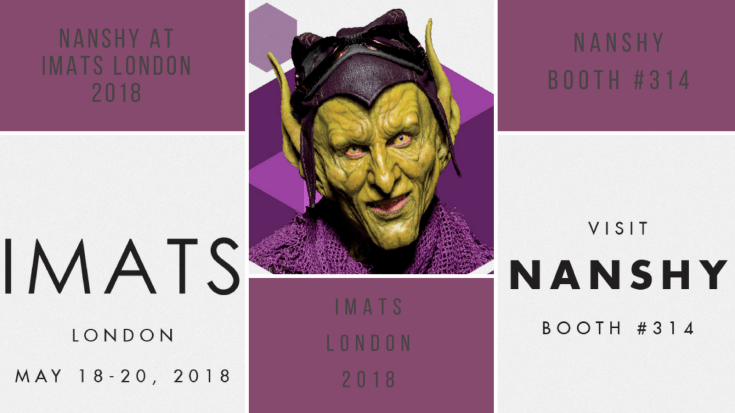 Nanshy is proud to confirm that we will be one of the top exhibitors at IMATS London 2018, and you will be able to find us at booth 312. We are a British-born and based makeup accessory brand, specialising in makeup brushes, sponges, and cosmetics bags. Our products are ethically produced, 100% animal cruelty-free and Vegan. At our IMATS London 2018 booth, you will be able to sample our product range, see new products for the first time and benefit from unique event-only discounts. Whether you are professional, a student or just love the world of makeup artistry, IMATS gives you the opportunity to sample a diverse mix of products, experience demonstrations and education from industry leaders. Oscar, BAFTA, and Saturn award-winning professionals can be found delivering masterclasses, such as how to perfect age-makeup applications, red-carpet glamour and body painting, while new products are often showcased and sold for the first time. IMATS also plays host to the Battle of the Brushes – a competition for existing and recently graduated international makeup students to show off their skills in a race to create and complete the finest looks. For the winners of the first, second and third place in each category, there are hundreds of pounds in cash and prizes to be won, as well as the chance to gain invaluable exposure and experience. For those who are contemplating and aspiring to make it in the world of makeup artistry, the best, most recognised makeup schools will also be at IMATS helping you to explore and ultimately decide which college is the best fit for your interests, personality, and talents. Tickets for IMATS London 2018 can be bought in advance from April 10 at specific times, so be sure to follow the ticket sale schedule. After 11am on May 17 tickets can be bought on the door. General-admission hours are open to the public, but age restrictions apply – visitors must be 16 years or older to gain entry. If you buy your tickets after 11am, April 10: a one-day ticket will cost £50, and a Weekend bundle for weekend-long access and entry will cost £90. If you buy your tickets after 11am, May 17: a one-day ticket will cost £60, and a Weekend bundle for weekend-long access and entry will cost £100. IMATS London 2018 will be staged at the Olympia National exhibition centre in Hammersmith, W14 8UX, and there are a number of ways to travel. On-site parking is available at the venue, but travelling by public transport, in particular, the London Overground or Tube network, is the more convenient and hassle-free option. Travel by London Overground – Get off at Kensington (Olympia). Travel by tube – For the Central Line you can change at Shepherd’s Bush for the Overground. For the Circle Line, you can get off at Hammersmith and then take a 5-minute bus ride or 15-minute walk to the venue, or High Street Kensington for a 4-minute bus ride or a 12-minute walk. For the District Line, you can change at West Brompton for the Overground, get off at West Kensington and take an 8-minute walk, or get off at High Street Kensington for a longer walk. For the Piccadilly Line, you can get off at Hammersmith for a 9-minute walk. For the Hammersmith & City Line you can get off at Hammersmith and take a 5-minute bus ride or for a 15-minute walk.